nubia, leaders in cell phone technology and leading smartphone manufacturer today announced the launch of its N2 smartphone in India. The beautiful powerhouse; N2 marries Nubia’s features of superlative camera and good design with a 5000 mAh battery made stronger by Nubia’ proprietary NeoPower technology that offers exceptional optimization results on Nubia N2. 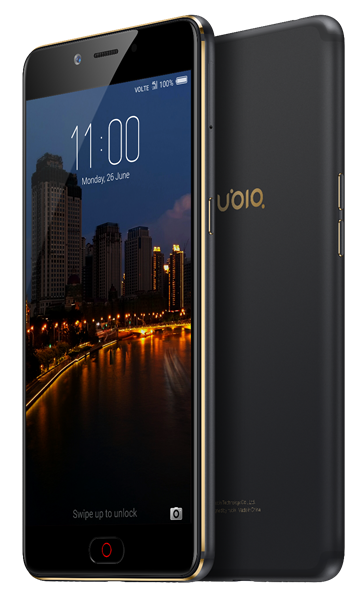 Nubia N2 carries forward Nubia’s legacy of merging aesthetics with technology. It is a super sleek device with 7.9 mm thickness. It has sharper front camera (16MP) as compared to N1 and a memory combination (4GB + 64GB) which is suitable for current generation of users. N2’s 13MP rear camera uses PDAF with 0.2 seconds quick snapshot, ensuring you never miss another shot. The 3D noise reduction and low-light image enhancement combined with hand-held image stabilization produces DSLR quality digital imaging, a feature that’s now become synonymous with Nubia devices. N2 differentiates itself from other devices with LTM regional color control, accurate color rendition and smart fill light which creates sharper images. The 16MP front camera helps you capture every detail of your beauty. The Nubia N2 carries an electronic aperture with hand-held image stabilization technology, making long exposure shots a breeze. The rear camera on Nubia N2 is equipped with a variety of special effects filters - Mucha, Fisheye, Film, Miniature and many more, letting you take fresh and exciting photos. Select the one you love, and press the shutter. The N2 carries MTK Octa-Core 64-Bit A53 architecture processor is “powerful and cool”. It makes the device respond seamlessly to graphic intensive 3D games and based on the type and level of task, the processor can intelligently deploy CPU and GPU, to reduce unnecessary core work, reducing power consumption and heating. The N2 uses aerospace-grade aluminum, and adopts nubiArc's special curved design so that it fits snugly on your hand. After thousands of tests and improvements, N2's finally polished curves fit perfectly in your hand. The exquisite rounded metal back cover is a fusion of quality and class. The nubia N2 will be available in India priced at Rs. 15,999/-on Amazon.in starting from July 05, 2017 at 12:00 noon.